Have you discovered what you think is rising damp on your property? 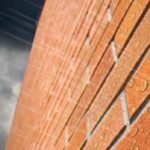 If you’ve never dealt with damp before, you might not be aware of the terrible reputation the so-called “damp proofing” industry has in the UK. While we don’t want to tar every company with the same grubby brush, we know from experience that in 99% of cases, you’ll be able to resolve damp issues without the need for costly waterproofing or wall injections. We created this page as a guide for anyone who has noticed damp in their home and is questioning the advice given to them by a so-called “damp expert”. Back in 2011, the consumer protection service Which? investigated 11 well-known damp proofing companies. 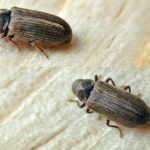 The results were damning; 2/3rds of the firms either failed to diagnose the cause of the damp correctly or went further and recommended unnecessary treatments at considerable cost. One company, Timberwise, failed to correctly diagnose any of the 3 damp issues across both houses. The results of the Which? report is indicative of a wider problem within the industry, and we feel little has changed during the last 6 years. Explore the 2011 Which? report here. According to the Royal Institute of Chartered Surveyors, the most common cause of damp is condensation, not rising or penetrating damp. High internal humidity levels and a cold external temperature often cause condensation damp on walls and ceilings. 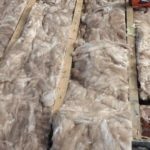 A lack of adequate ventilation, excessive insulation and a lifestyle that produces lots of moisture in the property (such as drying clothes on radiators) are also contributing factors. Next up is penetrating damp, this is usually moisture that comes from a leaking roof, gutter, pipe, tank or similar. As gravity pulls the water downwards, it may pool at ground level and appear to be rising damp. A poorly designed driveway, patio or garden drainage can also lead to water penetrating through the wall. Rising damp is the least common type of damp and is the result of groundwater rising up through the bricks, concrete wall or flooring. Walls are designed to cope with moisture, they get wet and then dry out quickly when the rain stops, so rising damp is quite rare, and any moisture is usually caused by something else. Rising damp is the least common type of damp, but it’s also the most expensive to treat. Condensation can be fixed with ventilation, making lifestyle changes or adjusting the type and quantity of insulation. Penetrating damp is very common and is often fixed by finding and repairing a leak. Broken roof tiles, leaky gutters, blocked garden drains or sewers and poorly constructed patios/driveways often lead to penetrating damp. The solution to any penetrating damp issue will depend on where the water is coming from, but it’s almost always cheaper to solve penetrating damp than it is to pay for wall injections and damp courses. Next up is the industry favourite; rising damp. The average cost of a rising damp treatment is between £3000 and £4000 according to Moneywise. We’ve seen written quotes for small semi-detached houses at over £8000, so Moneywise is probably being conservative with the figures. With the sky-high prices charged by some damp proofing “specialists,” you shouldn’t be surprised that many will recommend a costly rising damp treatment, even if it’s wholly unnecessary. Why would a commision-based salesperson quote £75 to replace a leaky gutter joint when they could recommend a £4000 damp proof treatment? Peter Ward has spent many years working as a geologist and geochemist. He has worked on and restored heritage buildings all other world and has written an incredibly insightful blog about the rising damp fraud. His entire site is a wealth of knowledge and we recommend exploring all the topics covered. As this guide is part of our DIY blog, we’ve got a checklist for you. You can perform some of these steps yourself; others may need to be done by a person competent working at height. 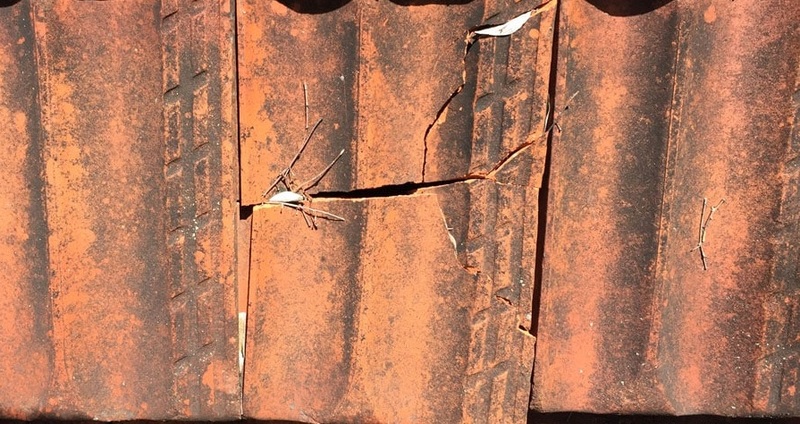 From ground level or via a ladder, visually check the roof for broken tiles or slates. Check the chimney, look for broken tiles or loose leadwork. Inspect the guttering and rainwater pipes for blockages, leaks or faulty parts. Inspect any overflow pipes from tanks or cisterns, either in the bathroom, toilet room or the loft. Rainwater can pass through broken roof tiles and soak into wall cavities leading to ponding at ground level or the saturation of any insulation. 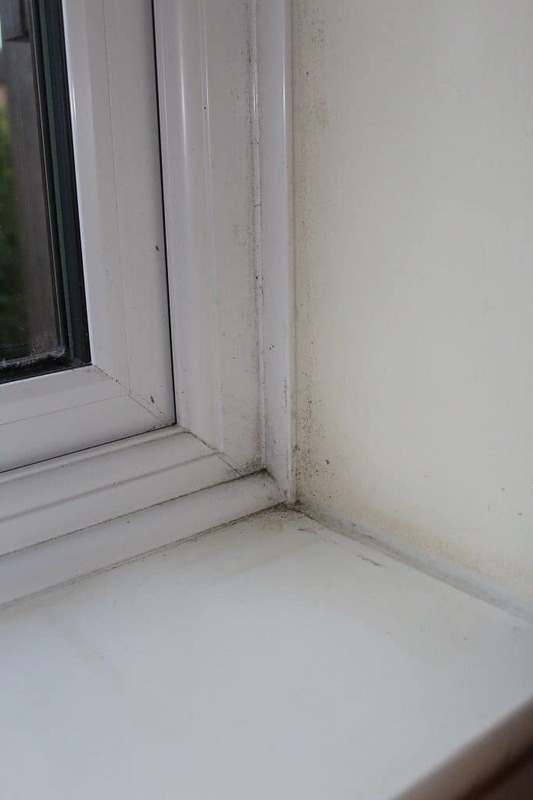 Rule out condensation (more details here), which is due to a lack of ventilation, high humidity levels and wintry outside temperatures cooling the external walls and windows. 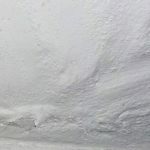 If you live in an older property with lime plaster (this is breathable) check that it hasn’t been covered in a non-breathable material such as gypsum or foil-backed plaster or worse still, concrete or mortar. Such materials seal the moisture into a wall that should be breathable. Make sure the central heating system isn’t leaking. If your system has a gauge, keep an eye on it as sudden or persistent drops in the pressure are a telltale sign of a leak. Check water tanks and cisterns, especially those close to walls and cavities. Mild window mould and condensation caused by a lack of ventilation and excessive insulation. Fully inspect the damp course, if there is one. It should be intact and at least 150mm above the ground, investigate the causes of any water ingress or damp patches above the course. Make sure all patios, blocks, tarmac or concrete are at least 150mm below any existing damp proof courses. Ensure all earth, flowerbeds or the like are at least 150mm below the damp course. Make sure mortar, wall render or other porous material hasn’t bridged the damp proof course. Check sewers and underground rainwater drainage for blockages. Check incoming fresh water pipes for leaks. Inspect the brickwork, look for mortar pointing that may have failed/crumbled, this is more common on windswept walls. If the damp is isolated to one wall, remove one or two bricks and check the cavity is clear of porous material. It should be empty or filled with waterproof insulation. Make sure the patio or garden has proper drainage in place, and rainwater isn’t flowing towards the base of the walls. Well planned drainage solutions will prevent water from getting anywhere near the walls. Image from Clark Drain. Contact the neighbours and check nearby houses that are of similar design and age, ask about any damp issues and remedial work undertaken. Inspect the general geography of the surrounding area. If the land slopes towards the home, is there a provision for drainage such as a land drain or french drain to redirect surface water? More examples of “rising damp” fraud and misselling can be found on Peter Ward’s YouTube Channel. There are two very different types of building surveyor in the UK. One is so universally trusted that courts, legal experts and mortgage lenders usually accept their reports as trustworthy. The other is little more than a salesperson that flogs unnecessary damp treatments costing thousands of pounds. A Chartered Building Surveyor must first achieve an acceptable degree (2 -3 years min) and then spend up to 2 years in a work placement before being awarded the title of Chartered Surveyor. A damp surveyor can describe and advertise themselves as a “Certified Damp Surveyor” by completing a 3-day training course. Damp is a complex issue with hundreds of potential causes, and there are even more possible solutions. There is no way that someone can learn how to diagnose damp after completing only a 3-day course. To avoid being sold a lemon, we think you should use the services of a Chartered Building Surveyor. Their reports and surveys won’t be free but they should be impartial and will reveal the real cause of the damp. In our opinion, free surveys by “certified damp surveyors” aren’t worth the paper they’re written on and are often used to missell unnecessary rising damp treatments. However PCA web site does not inform consumers that these qualifications are issued in a self certified process by PCA themselves after a 3 day course. This is totally inadequate to understand complex damp and timber issues. If you do decide to use the services of a “certified damp surveyor” rather than a “chartered surveyor” we suggest you make sure they aren’t aligned with only one product or company. Genuinely independent damp surveyors are hard to come by, most are little more than self-serving sales staff who have taken a 3-day training course. 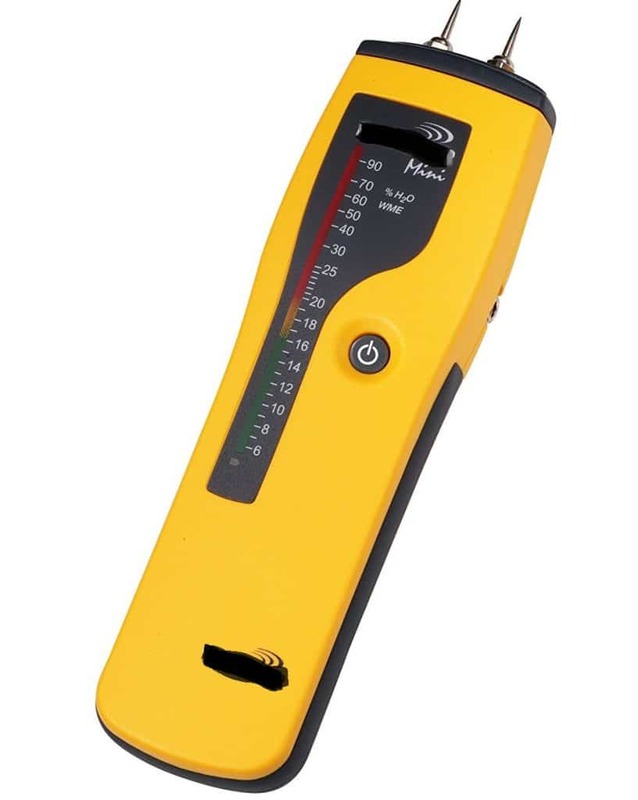 It’s been over 10 years since I first saw a damp proofing firm using an electronic damp meter to try and sell someone a wholly unnecessary and costly treatment. Many are still at it despite the well-publicised accusations of fraud. If you’ve never seen one of these before, please don’t be fooled by the readings. They are incredibly easy to use, just push the device against a wall and it will send an electrical current to one of the metal pins. If the wall is wet, the current will pass to the next pin; the device then displays a reading which tells you how much water is on the wall. Telegraph columnist, writer and university lecturer Jeff Howell is even more damning in this review of unreliable and inappropriately used damp meters. These electronic meters were originally designed for use with timber, not brick, plaster or mortar. Unfortunately, they’re now being used by many firms to fool customers into thinking they have rising damp when they don’t. The most reliable way to test a wall for damp is to drill deep into it and take a sample for gravimetric testing. We’ve all heard the advice before; you should get at least 3 quotes before proceeding with the work. Why not 4 or 5 quotes? Or 6 or 7? As the damp proofing industry has such a poor reputation and many firms are only interested in flogging expensive rising damp treatments, we feel you should get at least 6 quotes if you want any hope of getting a fair price and reliable advice. You might be surprised at the differing advice and prices you receive. Are All Rising Damp Treatments a Scam? There are occasions when a rising damp treatment would be appropriate, perhaps your modern home doesn’t have a DPC and you live close to the water table and the ground is boggy. The truth is, genuine rising damp problems are rare and the moisture ingress is usually caused by something else. Unfortunately, the industry is full of poorly trained and biased advisers and “surveyors” that we feel you should proceed with caution and fully investigate the primary cause of the damp rather than injecting chemicals into the walls. You notice a damp patch on the ceiling and upper wall of a ground floor room. You go upstairs and notice the radiator leaking onto the floor; there’s a big obvious puddle in front of you. A – Pay a damp proofing firm thousands of pounds to seal the walls and ceiling with injected waterproof chemicals? B – Get the radiator repaired? Damp isn’t always that easy to diagnose; sometimes it’s condensation, other times it’s a bridged DPC. We’ve seen leaky gutters, roofs and sewers all cause penetrating damp that looks like rising damp. You could be unlucky and genuinely need an injected damp proof course to solve your “rising damp” issue, but our experience tells us that this is unlikely.